At Salesforce, innovation is key, and in 2019, Pardot is continuing to reach new levels of innovation with new features and developments enabling marketers to market and sell smarter on the world's #1 CRM. This spring, we are excited to showcase our newest innovations, including Pardot Einstein, comprised of AI powered features designed for the B2B Marketer. Join us as our Product Leaders show you how marketers can use AI to surface prospects with buying intent and find leads who are most likely to become customers. 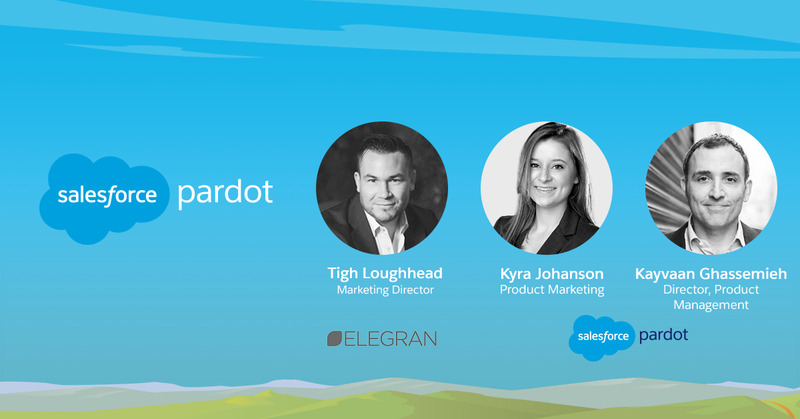 Hear how our Trailblazer in B2B Marketing, Tigh Loughhead, Marketing Director, Elegran Real Estate, is using these new features to identify top prospects and take his team to the next level with AI. And get a sneak peak into what's coming soon!